Contribute to our COPE fund! SEIU Local 49 is a union of more than 13,000 members throughout Oregon and Southwest Washington. 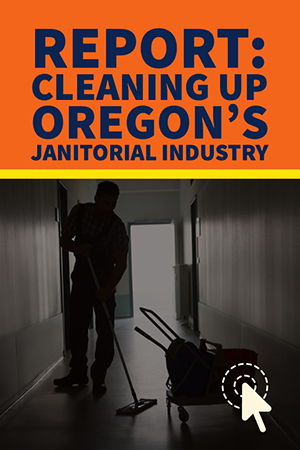 Our members work in a variety of facilities in Oregon and Southwest Oregon in the healthcare, security, custodial and service industries. Healthcare members include licensed practical nurses, respiratory therapists, radiologic technologists, nursing assistants, phlebotomists, laboratory assistants, customer service representatives, food service workers, housekeeping and many other healthcare classifications. SEIU Local 49 members also work as security officers and janitors for building service contractors, custodians for public schools and universities, window washers, laundry workers, and more. 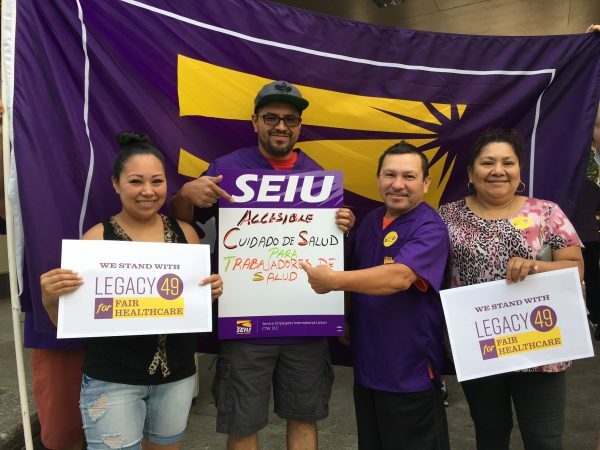 SEIU Local 49 began in 1922 when six janitors in downtown Portland joined together, determined to make a better life for themselves and their families. Recognizing the impact the union had for janitors, local hospital workers soon united, organizing to join Local 49 for a living wage and respect on the job. Sign up to take action against an extreme agenda that continues the attack on working families.